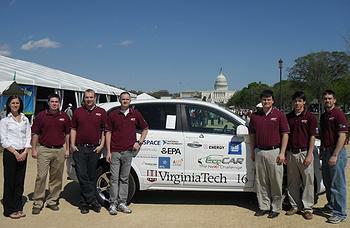 The EcoCAR competition, managed by Argonne National Laboratory, challenges 16 selected universities across North America to reduce the environmental impact of vehicles by minimizing a GM-donated vehicles fuel consumption and reducing its emissions while retaining performance, safety and consumer appeal. In Year Three, the vehicles were refined to near-showroom quality. 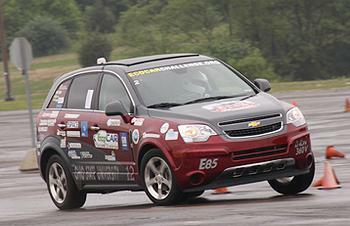 The 16 teams tested their vehicles at the U.S. Environmental Protection Agencys National Vehicle and Fuel Emissions Laboratory in Ann Arbor, Michigan for emissions and fuel or energy consumption.